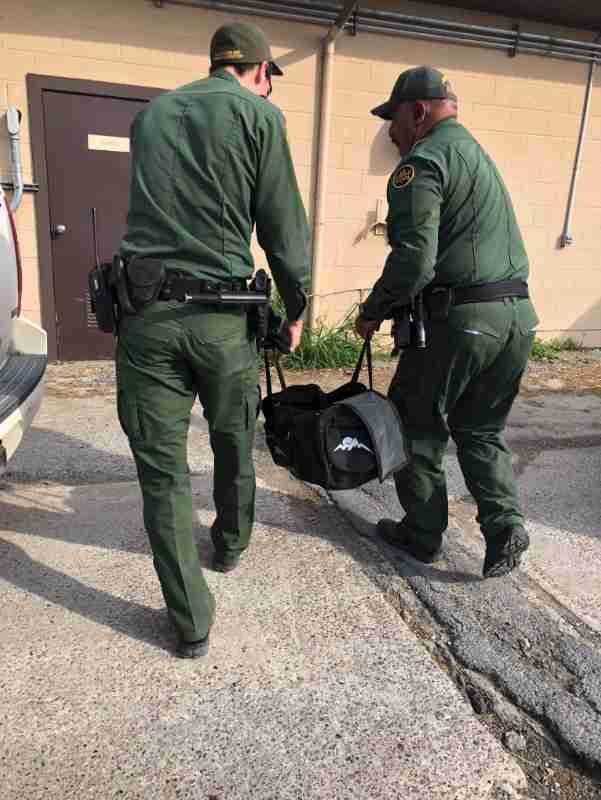 U.S. Border Patrol agents working along Texas' southern boundary with Mexico thwarted a smuggling attempt this week — saving a precious little life in the process. 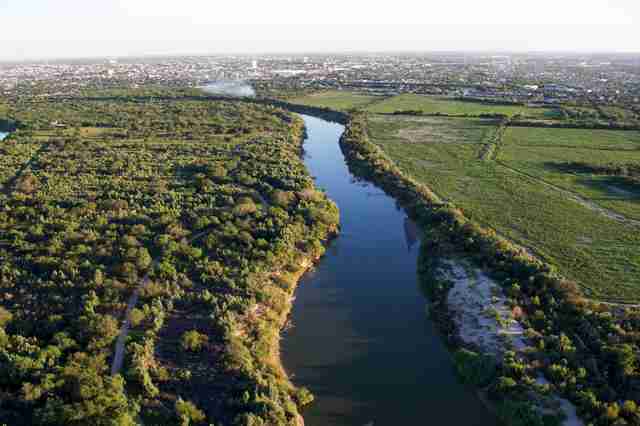 On Monday, the agents from Brownsville, Texas, on patrol near the Rio Grande, encountered three individuals attempting to cross into the U.S. illegally. The undocumented immigrants were carrying a black duffel bag. According to officials, the individuals turned back toward Mexico, abandoning the bag as they fled. That's when the agents made a surprising discovery. 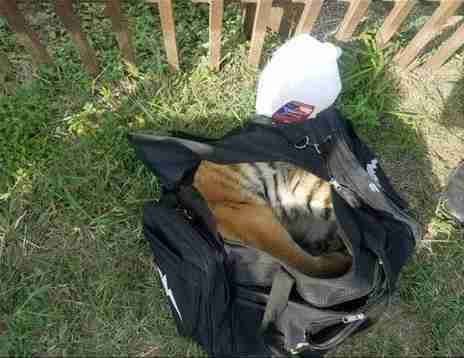 Crammed there inside the duffel bag was a 3- to 4-month-old tiger cub — seemingly unconscious, but fortunately still alive. 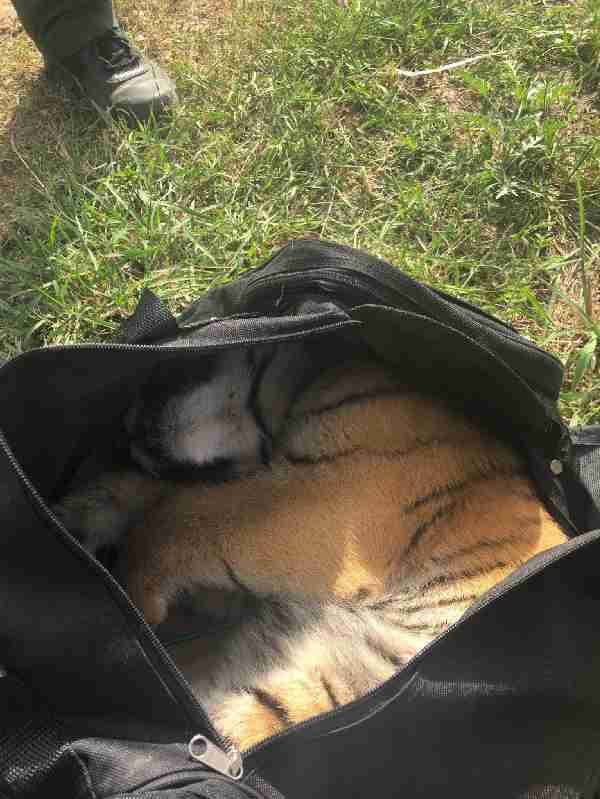 The agents then transported the tiger cub to Brownsville's Gladys Porter Zoo. 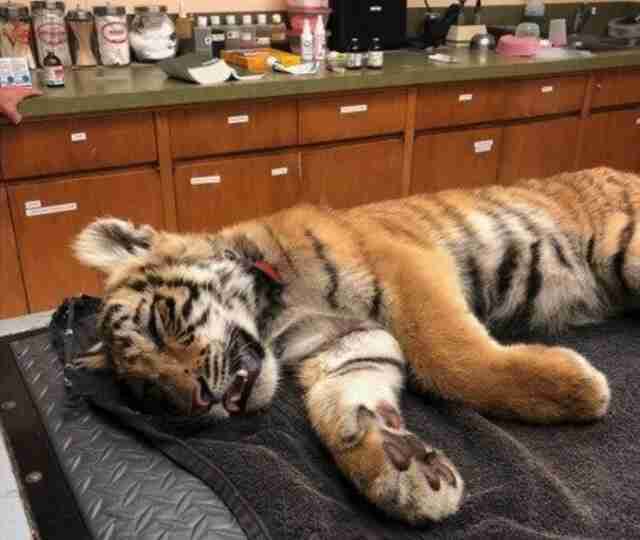 It's unclear if the would-be smugglers had drugged the cub to sedate him, but thankfully he was stabilized and soon came to. 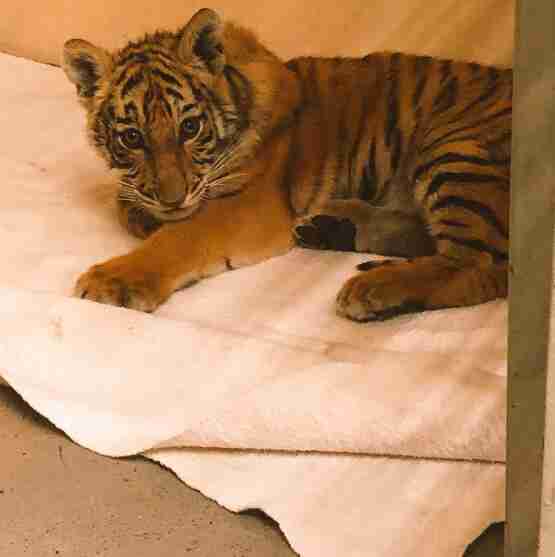 In an update from Border Patrol communications director Irma Chapa, the tiger cub is "doing great" and is expected to make a full recovery. Sadly, this cub may remain in captivity at a zoo, raised without his natural mother — but it's likely a better fate than the one that had awaited him had he not been rescued. There are an estimated 5,000 tigers in the United States, compared to around 3,200 tigers in the wild. Many of these animals, sourced from smuggling attempts like this one, have ended up under private ownership, are forced to perform at unscrupulous roadside zoos, or have even disappeared completely. Visit the World Wildlife Fund's website to learn more about the plight facing tigers in captivity, and how you can support efforts to end private ownership of tigers in the United States.